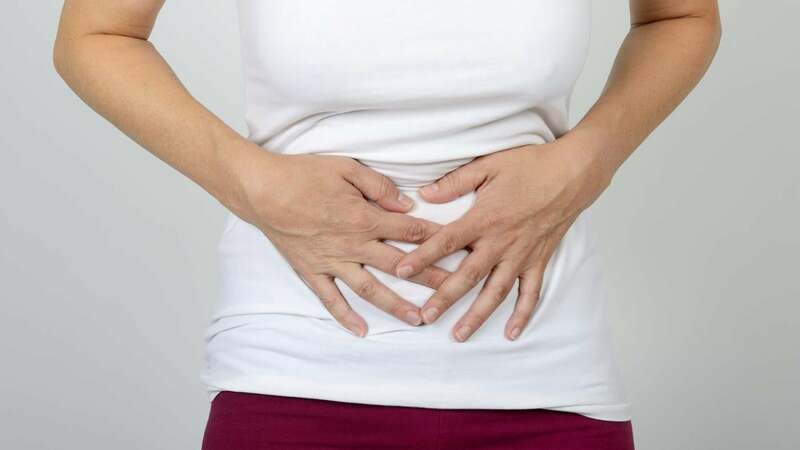 Unexpected weight loss, bloody stool, change in bowel habits and abdominal discomfort lasting for a long period are symptoms that may indicate colon cancer, notes Mayo Clinic. Rectal bleeding, weakness and fatigue may signify that a person has colon cancer as well. Gas, cramps and abdominal pain may not heal with time, causing persistent abdominal discomfort, according to Mayo Clinic. Changes in bowel habits include constipation and diarrhea. Symptoms, which depend upon the size and location of the cancer on the colon, may not show during the early stages of the disease, and a person who experiences any of the symptoms must consult with a medical expert. Inherited colon cancer syndromes, including hereditary nonpolyposis colorectal cancer and familial adenomatous polyposis, and precancerous cells on the inside wall of the colon may cause colon cancer, explains Mayo Clinic. Risk factors include chronic inflammatory diseases of the colon, history of colorectal cancer or polyps, and old age. Eating a low-fiber diet, smoking, excessive intake of alcohol, obesity and diabetes may render a person vulnerable to colon cancer. Radiation, surgery and chemotherapy, depending upon the stage of the cancer, may aid in relieving symptoms, reports Mayo Clinic. To prevent colon cancer, an individual should exercise more, maintain a healthy weight, stop smoking and cut down on the intake of alcohol.